Max Morgan always thought employee theft was something that happened to others – until it happened to him. 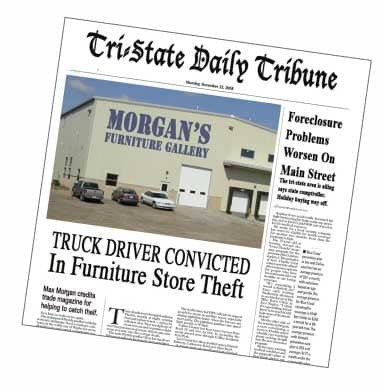 Max Morgan, owner of Morgan’s Furniture Gallery, was stunned. Three of his most expensive bedroom sets, two entertainment centers and three sofas were missing from his warehouse. He double-checked his computer and physical inventories. This was no mistake. It had to be employee theft. The only people who had access to the warehouse were Morgan’s employees. Max decided to go a different route and have all his employees take polygraph examinations. He grabbed the phone book, opened it to “Lie Detection” and called a private polygraph examiner. The polygraph examiner told Max that, because of a federal law called the Employee Polygraph Protection Act of 1988 (EPPA), he could not ask any of his employees to take polygraph tests unless two requirements were met. The requirements are: 1) the employee must have had access to the stolen customer property, and 2) Max had to have what is called “reasonable suspicion” that the employee stole what was missing. The more questions Max asked, the more confusing the polygraph examiner’s answers became – and the more frustrated Max became. Max thanked the polygraph examiner and hung up. Max decided to try an internet search using the search term “Solve Employee Theft.” The first three search results all referred him to the same web site and the same investigator. Max went to the website and studied it carefully. He believed he might have found the solution to his problem. And it was entirely legal. According to the website, Max would order theft investigation questionnaires (written interviews) for each of his warehouse employees. He would administer the questionnaires like tests to his warehousemen and their supervisor. Then Max would mail the completed questionnaires back to the investigator. The investigator would analyze each employee’s answers and write a report explaining which employees Max could legally ask to take polygraph tests in compliance with the EPPA law. The investigator’s report would also advise Max regarding which qualified employees should be asked to take the polygraph first, second, third, etc., based on who was most likely to have committed the theft. Then the investigator would fill out the paperwork required so that each qualified employee could be legally asked to take a polygraph test. Max ordered the theft investigation questionnaires and received them promptly via email. That afternoon, he administered theft questionnaires to his employees and sent them back to the investigator by overnight mail. Two days later, Max was reading a report that had been emailed from the investigator with results for each of his warehouse employees. An attachment contained completed forms so Max could ask his number one most likely suspect to take a polygraph examination in compliance with the EPPA law. 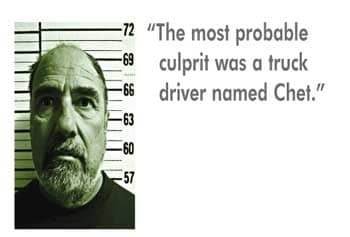 According to the employees’ answers on their questionnaires, the most probable culprit was a truck driver named Chet. Chet was one of Morgan’s four delivery drivers. A close runner-up to Chet as the most probable culprit was Nathan, his warehouse foreman. The investigator seemed to think the two of them might be working in cahoots. Max Morgan couldn’t believe his warehouse supervisor was involved. Nathan was the first employee Max ever hired and he was the last person Max would have ever suspected of stealing from him. But the information in the report was pretty clear. Along with the theft investigator’s report, Max received completed forms so he could legally request Chet and Nathan to take polygraph exams in compliance with the EPPA law. The investigator advised presenting the forms to Chet first. He thought Chet might prove more cooperative than Nathan. Chet turned away from Max and stared at the wall. His eyes began to get misty. Then he began to get angry. Chet said “What happens now? Max pulled out the blank Apology Form the investigator had sent to him via email, handed it to Chet and said, “Here, fill this Apology Form out completely and truthfully. Don’t hold anything back. Then sign your name. Chet wrote and signed his apology (i.e., a confession) and provided Max with the addresses where the stolen furniture had been delivered. Because Max had a signed confession from one of his employees and information concerning the locations of the stolen furniture, the police agreed to assist with search warrants and arrests. Both Chet and Nathan are currently awaiting trial on Grand Larceny charges. Nathan was also charged with possession of cocaine. The police managed to recover all of the stolen furniture except for one sofa. In today’s world, hurricane damage, recession, inflation and home mortgage foreclosures are just a few of the things driving American workers to steal from their employers. Some are also seeking solace in illegal drugs. James W. Bassett has been a theft investigator and polygraph examiner for more than three decades. His new book, Solving Employee Theft: New Insights, New Tactics is available from Booksurge.com, Amazon.com and from the author himself. You can contact him via email at JBassett@furninfo.com, or visit his website www.TheftStopper.com to learn more about theft investigation questionnaires.